Eagle Lake is one of the larger lakes in northwestern Ontario with approximately 68,464 acres of water. It is located approximately 100 miles due north of International Falls, Minnesota. Cedar Point Lodge is located a half hour west of Dryden, Ontario and one hour east of Kenora, Ontario. We are approx. six mile southeast of Vermilion Bay, Ontario. Eagle Lake has many bays, channels, 406 miles of shoreline and 490 islands. It is situated such that you can fish even on the windiest days. 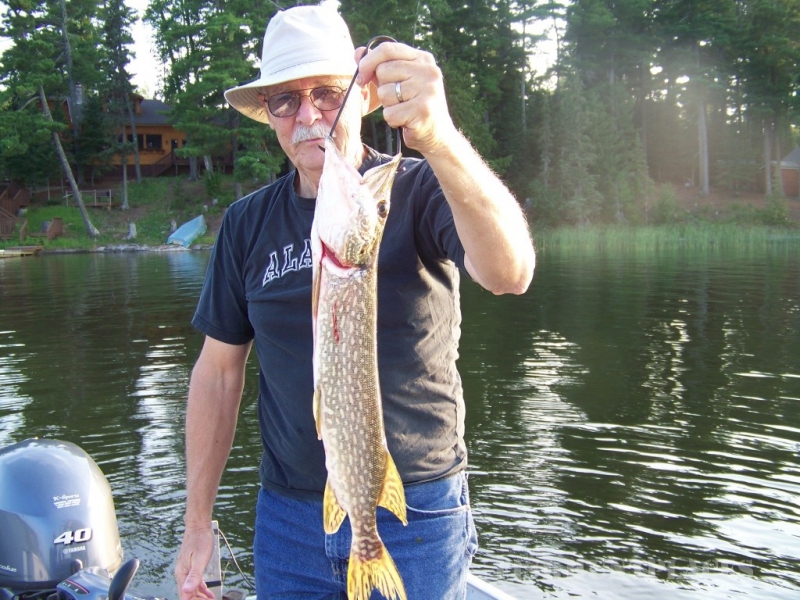 Cedar Point Lodge is located on the north central section of the lake with easy access to the west arm, back channel, Portage Bay and the big lake. 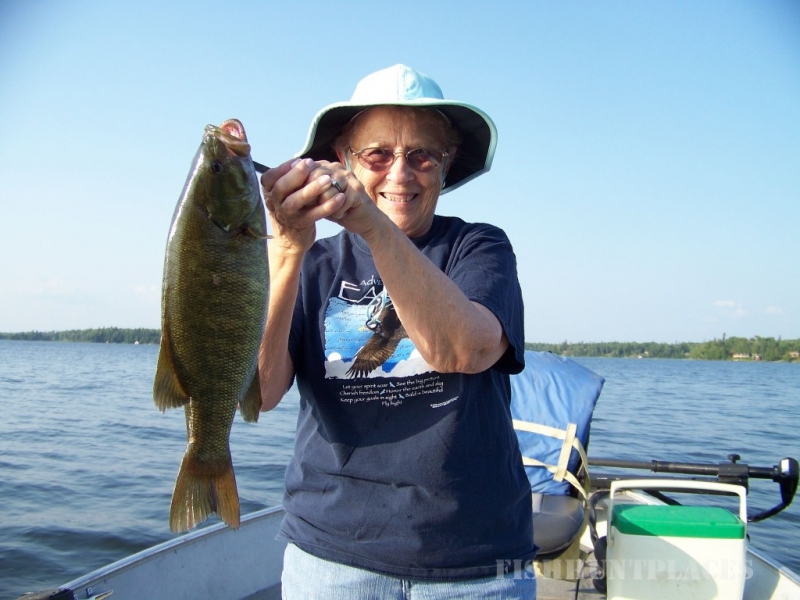 For the adventurous angler, we also have a number of small lakes accessible from Eagle Lake by creeks or small portages. 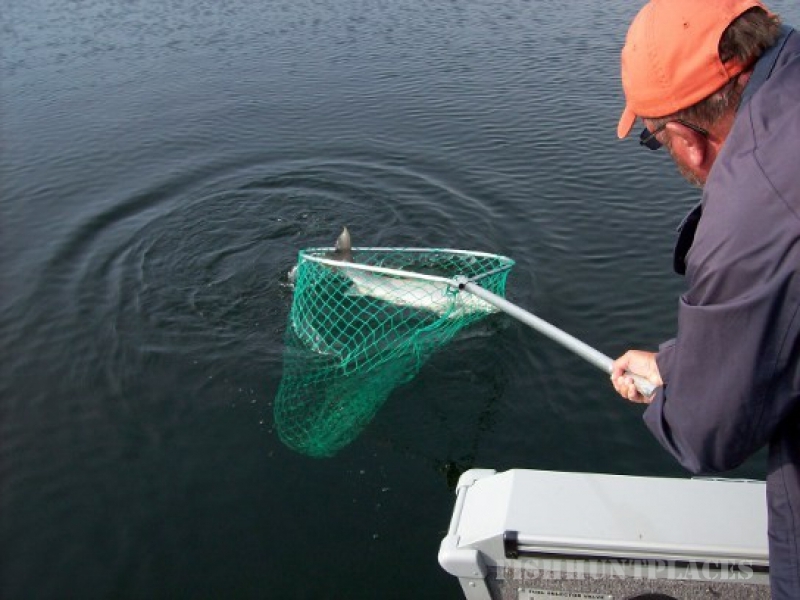 With 35 years of experience on Eagle Lake, we understand the patterns that fish have during the different seasons and how they react to weather changes, water fluctuations, temperatures and the date of the spring ice melt (determines the start time of patterns). We enthusiastically share our knowledge with our guests. Eagle Lake is a beautiful lake with natural sand beaches, waterfalls, rock walls, islands and bays. It is a natural habitat to an abundance of wildlife. Our guests enjoy viewing and photographing moose, deer, bear, wolves, lynx, otters, beavers, eagles. loons and many other birds, waterfowl and wildlife. 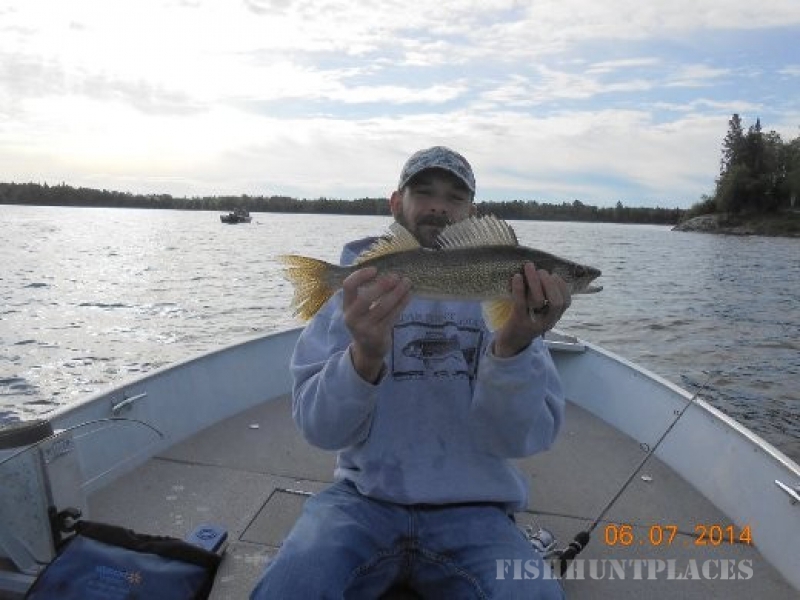 Eagle Lake has many different species of fish including walleye, northern pike, smallmouth bass, lake trout, muskellunge and perch as well as whitefish and rock bass. 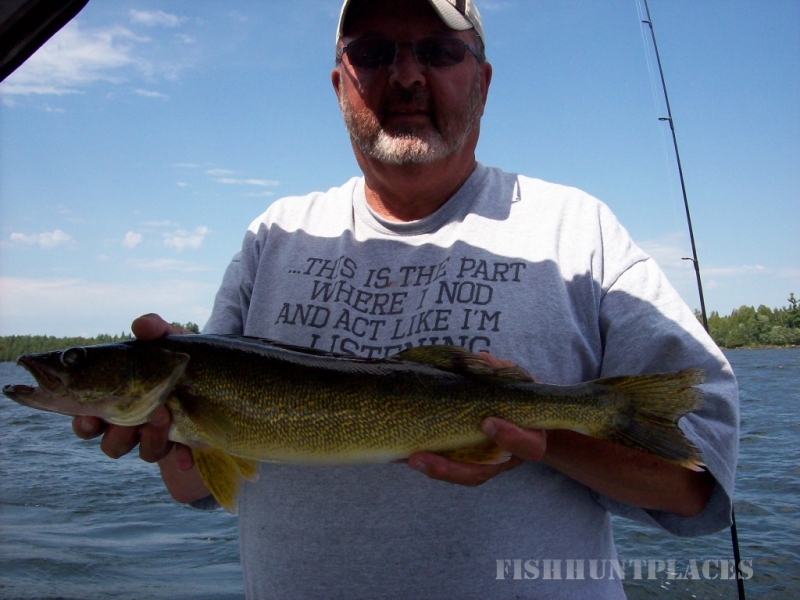 Eagle Lake is a prolific trophy lake and one of the benefits of fishing such a diverse lake is the ability to produce both numbers of fish caught as well as trophy size fish. Walleye and northern are the most common fish caught but Eagle Lake is well known as one of the top muskie waters in Canada. Conservation measures were introduced on the lake in the 1980’s with slot sizes for walleye and northern , protective measures and season for smallmouth bass, a 54” minimum size limit and quantity limit on muskie and size and quantity control on lake trout, has resulted in one of the top fishing destinations in northwestern Ontario (Please check our section on size limits and lake specific regulations)! Many of our guests have come to our resort for many years and can attest to the outsatnding results achieved from these aggressive conservation measures. We have owned and operated the resort for 35 years and can honestly say the fishing on Eagle Lake is as good now if not better than it was when our family first purchased Cedar Point Lodge!